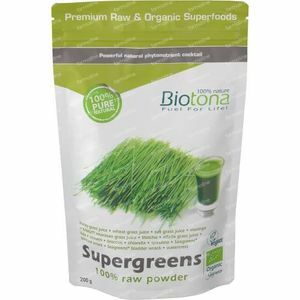 Biotona Supergreens Raw Powder 200 g powder order online. 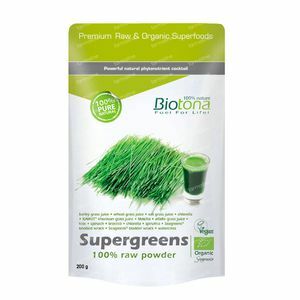 Biotona Bio Supergreens is a superior mixture with only the best biological and green raw super-foods! The mixture consists of 100% pure green food sources, each with their array of phytonutrients and naturally occurring nutrients such as vitamins, minerals, enzymes ...Biotona Organic Super Greens powder contains wheat grass, oat grass, lucerne, kamut khorasan grass juice and barley grass. 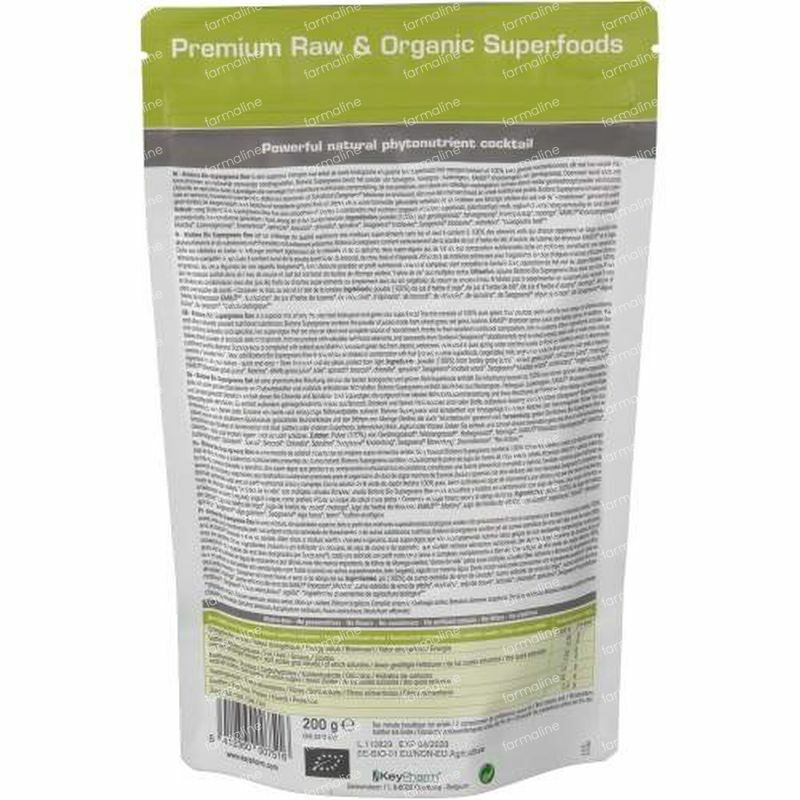 In addition, this blend contains organic chlorella and spirulina, two super algae because of their ideal nutritional composition, rich in protein and minerals, are an ideal and complete powder. 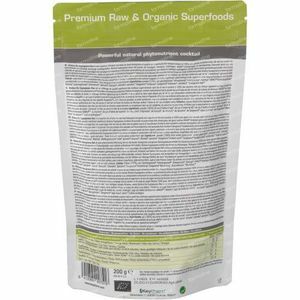 Also contains powder of organic spinach and broccoli, packed with valuable materials and seaweeds from Scotland (Seagreens bladder wrack, knotted wrack and channelled wrack), one by one with a broad and unique nutritional profile. Biotona Organic Super Greens is complete with the added pure Matcha green tea from Japan or excellent and grown in pure spring water organic watercress. Add Biotona Bio Supergreens to smoothies or shakes in combination with fruit (juice) or other super foods, milk, yoghurt or water as snack. Powder (100%) from barley grass juice*, wheat grass juice*, oat grass juice*, moringa*, KAMUT khorasan grass juice*, Matcha*, alfalfa grass juice*, kale*, spinach*, broccoli*, chlorella*, spirulina*, Seagreens knotted wrack*, Seagreens bladder wrack*, watercress*.